I used to be so afraid of blush. I felt it was one of the tell-tale signs that I was wearing makeup. But I've since come to love the effect of Glossier Cloud Paint on the skin. I absolutely hate an overdone blush--and since I have rosacea, I am very attuned to what looks natural on the face and what doesn't, especially when your complexion, like mine, is prone to redness. I have the Glossier Cloud Paints in Dusk and Puff. Dusk is an earthy, sun kissed shade, whereas Puff is a bubble-gum pink. What I love most about these blushers is that they give the most gorgeous, sheer, watercolour effect on the skin. I find the best way to apply these is with fingers. You only need the tiniest amount--a pin-head sized dot of product--and it sheers and blends beautifully across the skin. It's perfect for a no-makeup makeup day. I was concerned that Dusk would be too dark for my pale skin, but it actually looks lovely because of the sheer stain it imparts. Girls with darker skins might be glad to know that these build up really easily as well and don't look cakey. Although the pigment is a liquid/cream, it dries down and doesn't look too dewy or shiny throughout the day. Lasting power is also really good. 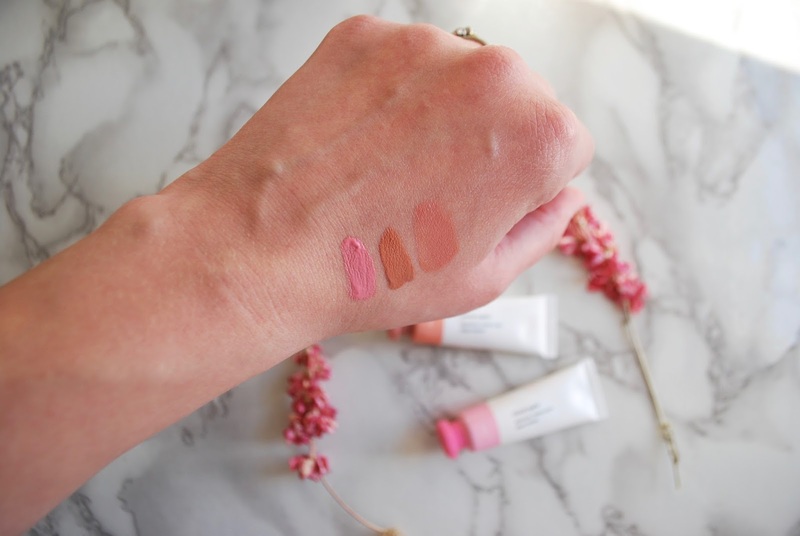 You'll see in the swatches below that one of my favourite ways to wear these blushers is to mix them. Dusk and Puff combine to a natural, earthy pink flush. I have heard that Dusk and Beam (an orange shade) also make a pretty combination. Have you guys tried these? 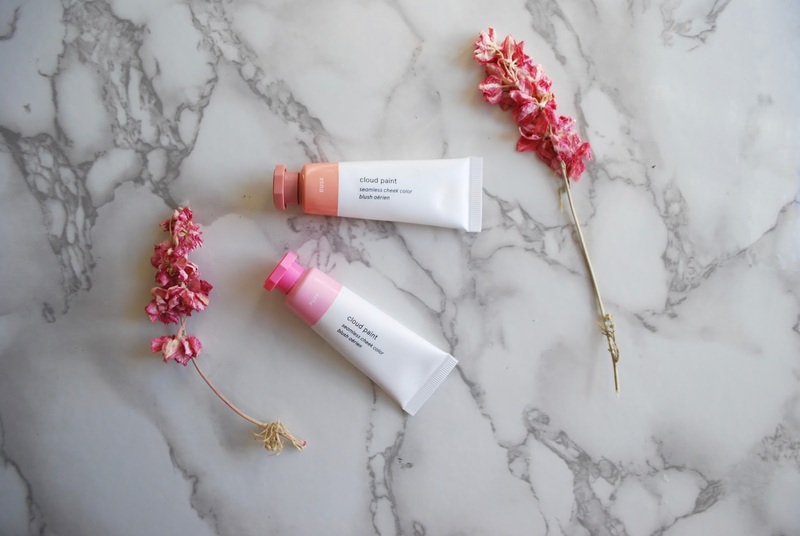 What are your thoughts on the Glossier Cloud Paints?